The last week has seen quite a bit of painting progress, with a couple of partially completed pieces put aside until after the Dust had settled. One of these projects was a chunk of Dropzone Commander stuff. The unit I’ll feature today is some Prowlers. 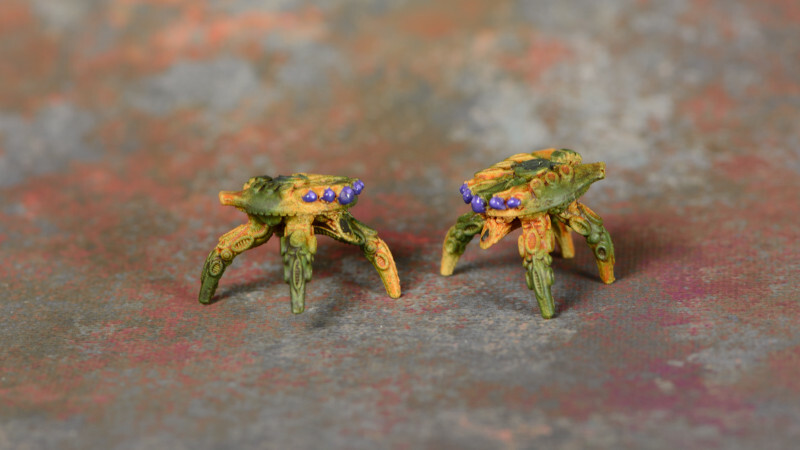 These lovely little fellas are a small close combat walker that’s supposed to get nice and close to a target tank and inject hot plasma through a proboscis that it spikes through the armour. Really, they just want to get nice and close and cuddle with tanks – they’re just misunderstood. 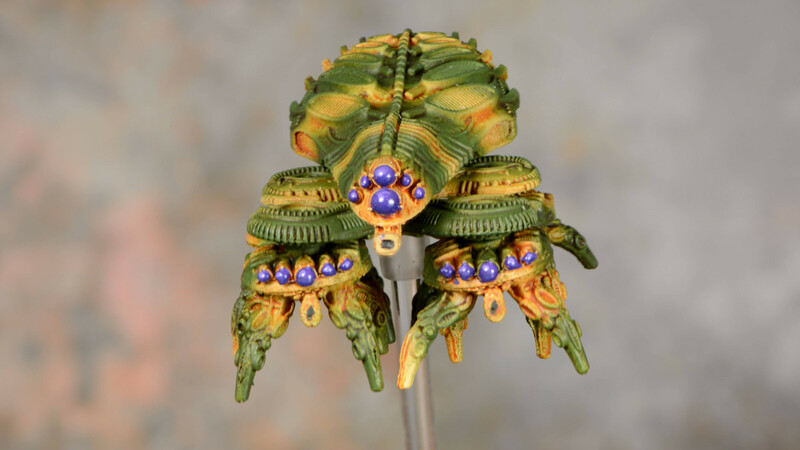 I am looking for some truly alien vehicles for my 3mm layout and those prowlers look like they may be just the ticket. Would you mind shooting a shot with the prowlers next to some 3mm stands and your wonderful built-up areas? Just so we can see the effect. DZC’s is too expensive for me to buy and have shipped to Brazil on a whim. Thaddeus – check out the latest post for some comparison pics.